Save time by learning how to make your hiring process faster and more efficient, saving money by avoiding the cost of a bad hire. Read our white paper! How can you speed up your search for number-crunching pros? What techniques can you implement to land the best and brightest in finance and accounting? 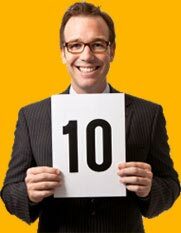 How can you create seamless processes for interviews? How will you gain from this white paper? You’ll gain solutions to speed up the hiring process for accounting and finance professionals. Speed up your recruitment process. 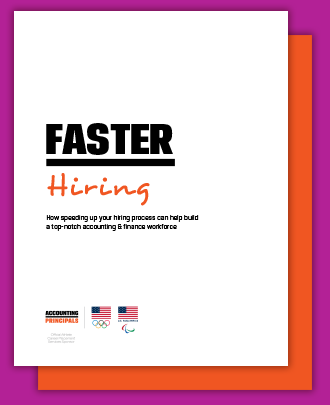 Maximize your hiring efforts to get the best accounting and finance pros. Utilize technology to streamline the interview process. In the current job market, candidates have the upper hand. There are a plethora of companies vying for a smaller pool of qualified professionals, and the most talented ones often have their pick of positions. It’s crucial that businesses adapt their hiring processes accordingly. Ready to hire top talent faster? Get “Hire Faster. Hire Smarter.” now.